commented on "The City of Launceston RSL Band is featured in The Examiner. ..."
The City of Launceston RSL Band is featured in The Examiner. 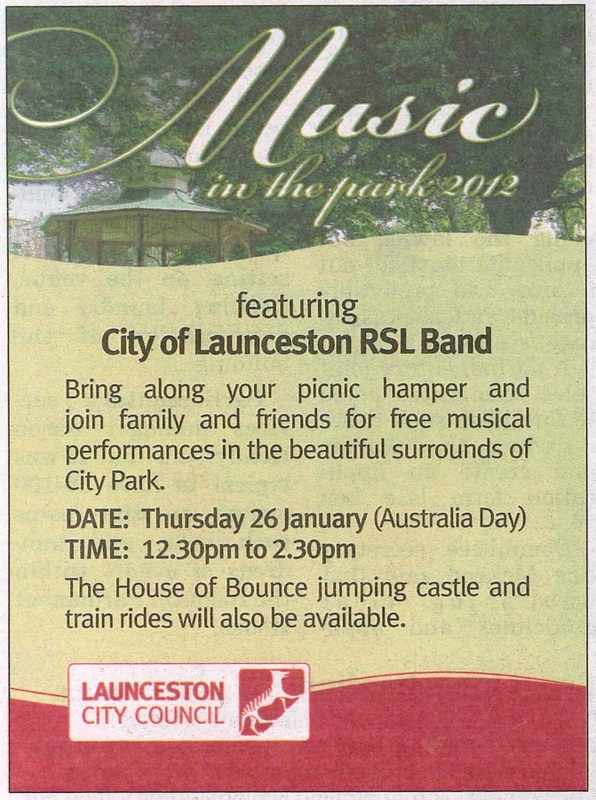 Music in the Park 2012 featuring the City of Launceston RSL Band on Australia Day Thursday 26th January 2012 from 12:30 - 2:30pm. Bring along your picnic hamper and join family and friends for free musical performances in the beautiful surrounds of Launceston City Park.